Propeller Anime: We so hung out with Anime Spot! 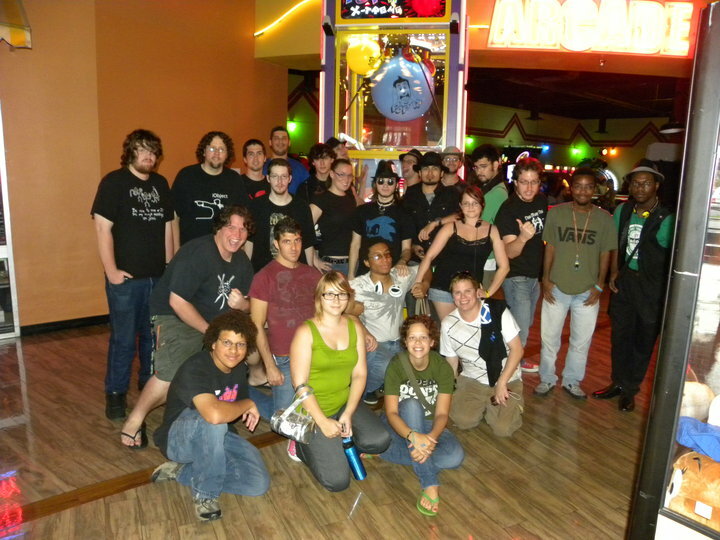 Last Saturday we did our hangout with Anime Spot, UCF's anime club! 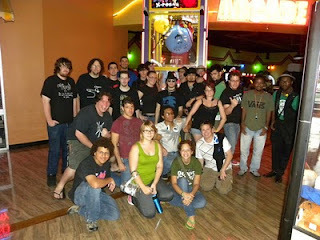 It was pretty rad and we bowled, mini-golfed, and arcaded! Look at us all happy and getting along! Totally unheard of years ago in this town if you know the history of older anime clubs. As long as we don't try to start our own conventions, we'll be friends!